The Competition and Market Authority has released a new protection guidance for lettings professionals to improve their understanding and compliance with consumer protection law. 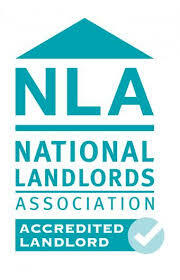 The guidance provides standards over a number of issues that tenants and landlords can encounter. The CMA has worked along with the trading standards services to agree on how the law should be applied and how to improve standards. The guidance is relevant to all professional lettings agents in the United Kingdom with the aim to suppress legal variations from one area to another. Meanwhile the Department for Communities and Local Government has issued a checklist to successful renting for tenants. The checklist is actually very close to our own Guide to your first student house. Although this news is relevant to all professional lettings agents, we are already one step ahead at Mistoria, always making sure our student lettings are in line with legal and ethical standards and our student tenants feel safe and secure doing business with us. Find out more about Mistoria and our student lettings by calling us on 0800 500 3015 or emailing info@mistoriaestateagents.co.uk.